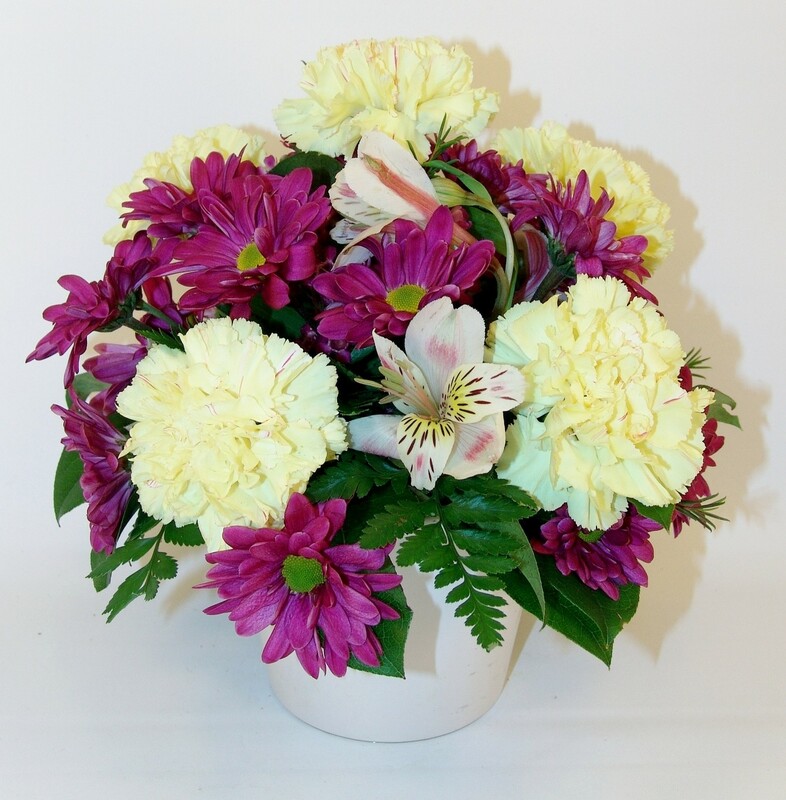 White carnations and purple daisies are a fun way to celebrate the presence of friends. Alstromeria blooms accompany the display. White vase included. This item is hand arranged and delivered by a professional florist. Standard Center piece includes 6 stems. Deluxe Center piece includes 8 stems. Premium Center piece includes 10 stems.